Welcome to the end-of-year edition of Stacy Blackman’s B-School Buzz, our periodic check-in with some of the MBA blogosphere’s applicant and student contributors. There was much to celebrate this week as multiple bloggers shared the great news of getting in to one or more of their Round 1 schools. Congratulations to all, and for those who are waitlisted, don’t lose hope! You’re still in the running, and there are definitely things you can do to manage the waitlist experience. Two down, one to go—Based in Madrid, Under Prescription was on pins and needles as the time zone difference caused considerable angst while decision calls and emails started coming down. The results so far: in at Tuck School of Business and with a scholarship to boot; and also admitted to MIT Sloan School of Management! A decision from Duke Fuqua is pending, but whatever the case, this is one applicant who feels great knowing he won’t have to worry about Round 2. Three for three—My Journey to Business School is about to have the best weekend ever as she celebrates admits to Tepper School of Business, Kellogg School of Management, and UCLA Anderson School of Management. Now it’s decision time, made more complicated by the fact that both Tepper and Anderson are offering scholarships. A yes and a maybe—If being waitlisted by University of Pennsylvania’s Wharton School stung a little, that was surely mitigated by Top Dog MBA‘s acceptance offer at MIT Sloan School of Management. Since this is his second time at the rodeo—the first included five dings—we can only imagine how fantastic it feels to begin to close this chapter of the journey to b-school. Another Trifecta—Finance Furry is over the moon after receiving admissions offers at all three of the schools she applied to in Round 1: Wharton School, Kellogg, and Chicago Booth School of Business. She says she plans to spend the coming weeks making pros and cons lists, consulting alums and students, and praying for guidance. To stay waitlisted or no?—Naija MBA Gal is facing a tough decision as she contemplates whether to remain on the MIT Sloan waitlist or fully embrace the acceptance from Chicago Booth. Since she admits Booth is her “first love,” is it safe to call it for Chicago? By Monday all should be revealed. When nerves set in—Pulling that MBA Trigger is full of good cheer for her fellow MBA bloggers this week as many on the same journey have already received good news. It’s time to focus on that GMAT next week, and keep up the positive energy for the Round 2 deadlines coming up. Do you have an MBA-centric blog? Want it featured in an upcoming B-School Buzz post? 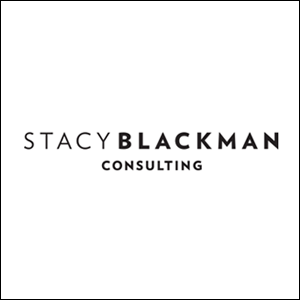 If so, email me at buzz@StacyBlackman.com. This entry was posted in BSchool Buzz and tagged MBA applicant blog, MBA student blogger.